Christmas dinner may be over but there’s always room for some leftovers. This week on episode 591 of the Dread Media Podcast, I take a look at what happens when the holiday dinner isn’t quite what the guest expected it to be. Tune in for my thoughts on Mercy Christmas (2017) and, as always, tell ’em Monster Movie Kid sent ya! Every Christmas season, I will watch and listen to multiple versions of the Charles Dickens classic tale, A Christmas Carol. That said, the bar is set high for whenever I listen to a new version. For movies, Alastair Sim is king as Scrooge (1951) is the definitive adaptation. For audio, nothing surpasses Lionel Barrymore in the Campbell Playhouse presentation from 1939 that features Orson Welles and his Mercury Theatre Players. That said, I finally listened to one of the most recent audio plays that was released last year from Anthony D.P. Mann’s Bleak December and what a holiday treat it was. I’ve been singing the praises of Bleak December ever since I heard the first words of Tony Todd’s performance as Count Dracula. Anthony has hit gold with his Bleak December productions and I know of his lifelong passion for A Christmas Carol. So, it’s no surprise that it’s present here in a full-cast production. Sylvester McCoy (Doctor Who, The Hobbit trilogy) headlines the cast as Ebenezer Scrooge and turns in an amazing performance. His compassion shines through a little earlier than other Scrooge’s but with a 45-minute running time, the tale has to move along at a brisker pace. I was also pleased to hear Anthony himself appear as Jacob Marley’s ghost. What a dream come true for him as I know he’s a big Doctor Who fan and he can now boast having worked with two former Doctors in three different productions. He was great as Jacob Marley. I’m unsure of the rest of the cast but everyone did a fantastic job. I loved how the tale was told in the abbreviated time frame without really missing any major elements. Yes, Scrooge’s nephew doesn’t appear but every adaptation has variations, which makes the adventure of watching or listening to them all that much more fun. I was surprised to hear how the Ghost of Christmas Present is portrayed. I’ve always heard or seen him as a king-like figure but here he’s in the form of a cab driver. I enjoyed it for being something different and it left me curious as to Anthony’s reasons for presenting him that way. The only change I might have suggested was the introduction of a narrator but given the format, that might not be appropriate. Also, McCoy provides some narration of a sort through his mumbling throughout. In the end, the lack of a narrator doesn’t really hurt the production at all. Special recognition must go to Brent Holland for a stunning score. I’ve heard great casts be let down by the lack of a good score but not here. Holland’s score enhances the presentation and elevates it to the next level. 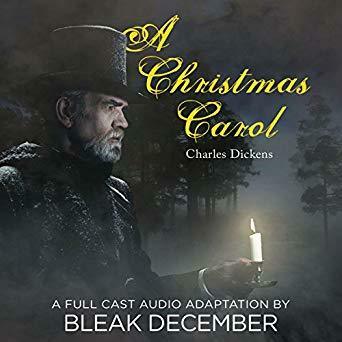 I cannot highly recommend Bleak December’s production of A Christmas Carol enough. I purchased it too late in the season last year and I’ve been anxiously waiting to listen to it this year. My wife Karla and I listened to it as we drove around looking at Christmas lights. She loved it as well and we both agreed that this will now be part of our annual to watch/listen list every Christmas. Unfortunately, the limited edition vinyl from Cadabra Records sold out to subscribers before it was available to the public but it is still readily available through Brilliance Audio. Add it to your Christmas list today! There are quite a few films out there where we’ve been given a glimpse of Santa’s operations at the North Pole. The Santa Clause trilogy was especially fun (well, the first two at least) and Fred Claus seemed heavily inspired by that vision. So, when I heard Netflix was making a Christmas film where Santa is stranded on Christmas Eve and the Christmas spirit is waning, I wondered why they would attempt a retread of a familiar theme. 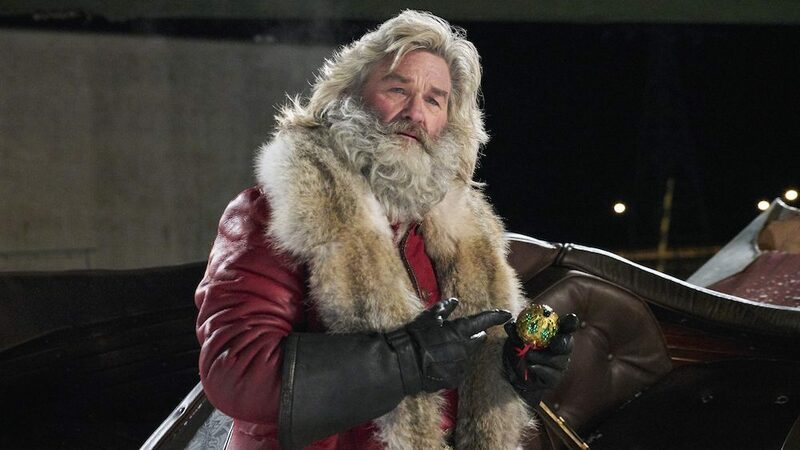 Then, I heard Kurt Russell was in the lead role as Old Saint Nick and I knew this was going to be something different. The Christmas Chronicles (2018) is indeed the gift we didn’t know we were wanting as Russell turns in a very fun performance as Mr. Claus. Now, his version isn’t fat nor does he go Ho Ho Ho. But he does travel around the world in one night, spreading the spirit of Christmas while delivering presents and making magic happen. And that magic is needed in the lives of Teddy and Kate Pierce. It’s been a rough year for them as they lost their firefighter dad and mom is working hard to keep everything afloat. As a result, Teddy is on the bad list but younger sister Kate hasn’t given up hope. As she’s watching old family videos, she discovers a mysterious blur in the background. Could that be Santa? She enlists the help of her brother in an effort to capture Santa. But, the plan goes astray when they actually see him and, inadvertently, get stuck in his sleigh. After scaring Santa half to death, the reindeer are let loose, the presents fall off and Santa’s magic hat is missing. The result is a story we’ve heard before. 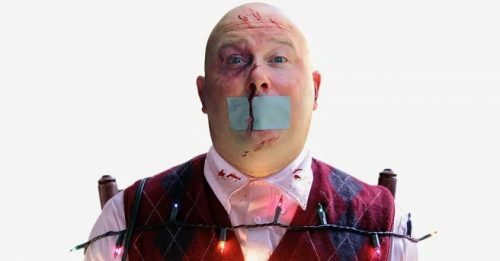 The Christmas spirit is dropping and unless Santa gets those presents delivered, things could go dark. But here is where the movie shines because Kurt Russell is allowed to make the role his own. This Santa is a bit more cutting edge, he sings and loves to drive…fast. Now, he’s still afraid of Mrs. Claus but he’ll do what it takes to get the job done. Enlisting the help of Teddy and Kate, there may be hope for Christmas yet. With Russell turning in a film-stealing performance, he does outshine Judah Lewis and Darby Camp but Teddy and Kate have their moments. 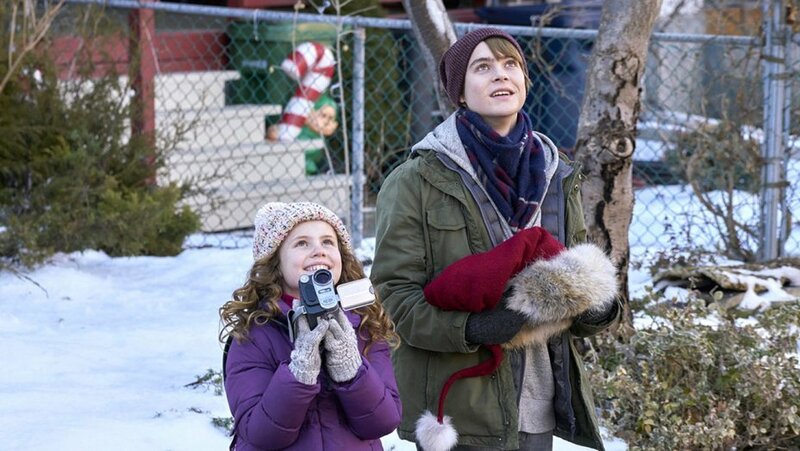 Judah Lewis wasn’t great as Teddy but serviceable while Darby Camp was very cute and quite good in her role as Kate. Of course, you have to have elves and here they are CGI generated versions that almost come off as Gremlin wannabees. They’re a bit cartoonish but it’s a movie about Santa, so it’s certainly allowed and acceptable. In fact, they’re given some fun lines here and there, so the end result works just fine. 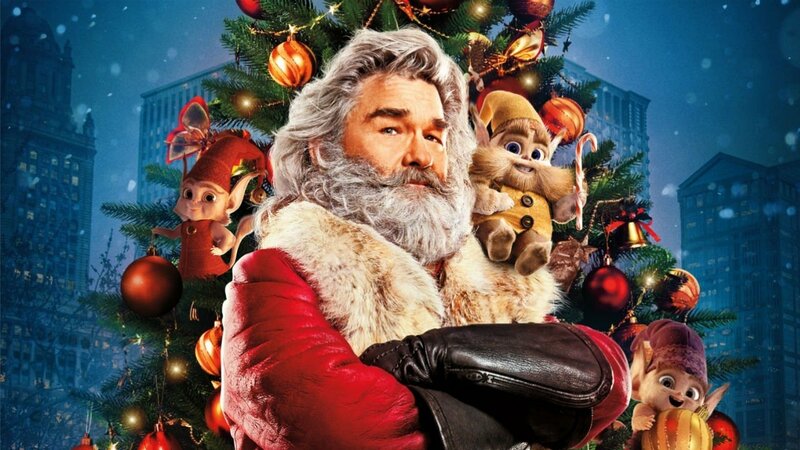 I highly recommend The Christmas Chronicles for your Christmas viewing list as Kurt Russell is just a lot of fun to watch. The movie is currently available on Netflix, so if you already have a subscription, all you need to do is add it to your watch list. And stay tuned to the very end for a fun cameo appearance. Mrs. Claus knows everything! For many years I avoided the 1970 musical adaptation of A Christmas Carol, the timeless classic by Charles Dickens. I continued to discover and watch new and old versions of the tale, from the silent era to contemporary animated versions. I loved hearing old radio adaptations and even watching the occasional television version wrapped into an existing program. But I steered clear of the musical because I couldn’t see Ebenezer Scrooge singing nor could I see how it would work. And now I can admit that I was quite wrong. Every adaptation of Dicken’s classic has a few variations. For example, Scrooge redeems himself in the eyes of Bob Cratchit in the office in one version while doing it in the Cratchit home in another. I appreciate the variations as I always like to watch several adaptations every holiday season. But interspersing music into the tale would surely detract from the story wouldn’t it? As I said, I was quite wrong. The eleven songs actually enhance the story in Scrooge (1970), thanks to the wonderful arrangements by Leslie Bricusse and Ian Fraser (Doctor Doolittle). There’s certainly no surprise in discovering that the song “Thank You Very Much” was nominated for an Academy Award. I’m still singing in my head. 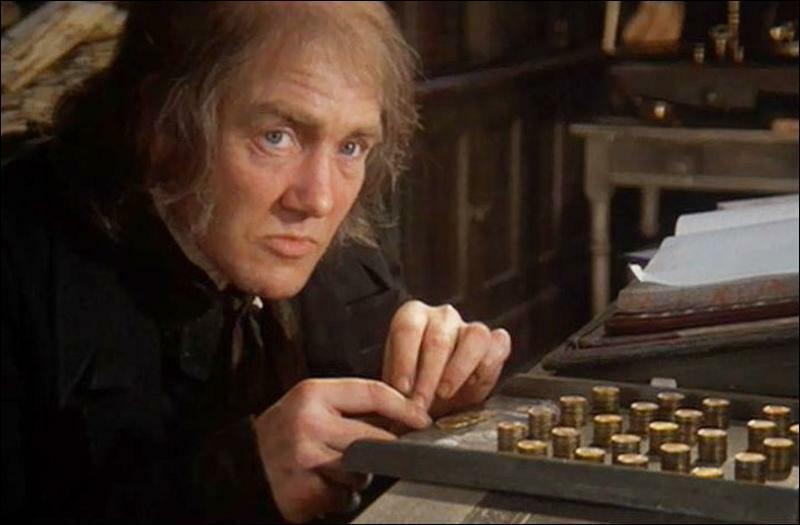 Any adaptation of A Christmas Carol hinges on the performance of the lead actor playing Ebenezer Scrooge and Albert Finney is simply amazing. He won the Golden Globe Award for Best Actor in a Musical/Comedy in 1971. Sadly, he wasn’t even nominated for an Academy Award. That year’s honor went to George C. Scott for his role in Patton. Ironically, Scott would play Scrooge himself in another fine adaptation in 1984. Despite the lack of Academy recognition, Albert Finney is stunning in the lead role. He doesn’t surpass my personal favorites Alastair Sim or Patrick Stewart but he’s definitely in the top five, if not the top three. I also really enjoyed Alec Guinness’ performance as Jacob Marley. He truly looks ghostly here as he’s floating and otherworldly. 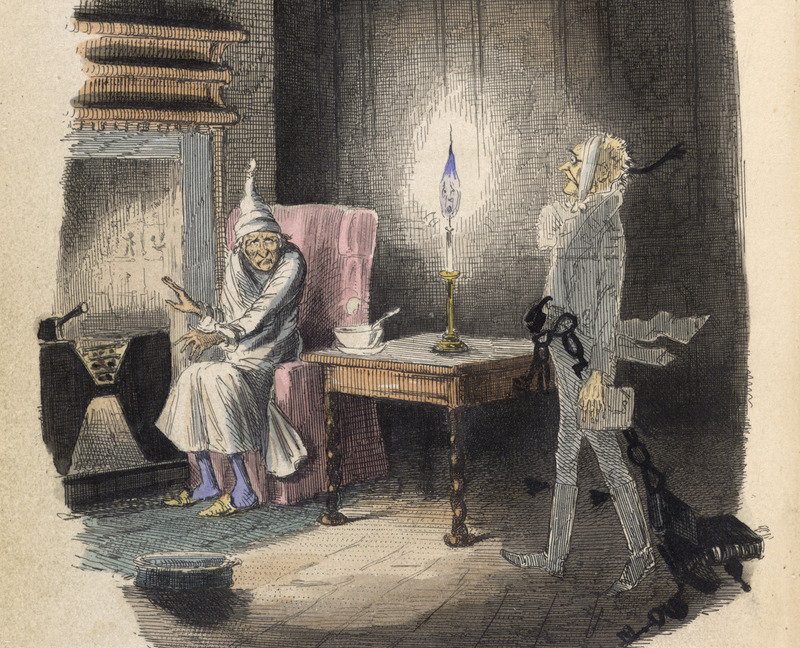 I would have loved to have seen more of him but he accomplished what is needed of Marley…creating a sense of horror and despair at the prospect of the future awaiting Scrooge. Unfortunately, I didn’t care for the Ghost of Christmas Past, played here by Edith Evans, as she seemed too harsh. I also felt underwhelmed by David Collins as Bob Cratchit. However, the inclusion of seeing Scrooge collect money from his poor clients and his trip into Hell courtesy of the Ghost of Christmas Future far outweighed any issues I had with some of the performances. I was thoroughly entertained by this musical version of Scrooge and it will definitely be added into my annual Christmas film rotation. I don’t really have any more versions to discover at this point, so I was happy at how much I liked this classic adaptation. I definitely recommend it, especially if you’ve avoided it because of the music. I’ve been more open to musicals since last year and I’ve definitely enjoyed the journey so far, Scrooge being no exception. It was 1957 when Dr. Seuss wrote the original version of How the Grinch Stole Christmas!. We learned about Whoville, Max and, of course, the green grouch who lives up in the mountains overlooking Whoville…the Grinch. Then, in 1966, it was animated by the legendary Chuck Jones and narrated by horror master Boris Karloff. With music by Thurl Ravenscroft, this version is still seen every holiday season and heard on Christmas radio stations non-stop. Unfortunately, Hollywood couldn’t leave well enough alone. In 2000, Ron Howard and Jim Carrey teamed up for a live-action adaptation, The Grinch. It’s not horrible but Jim Carrey’s manic humor hasn’t aged well. At least we had Anthony Hopkins narrating and a decent soundtrack. Flash forward to 2018 and Hollywood has done it again. Unfortunately, this time they went back to the animators for a contemporary spin on the yuletide classic that nobody was asking for. 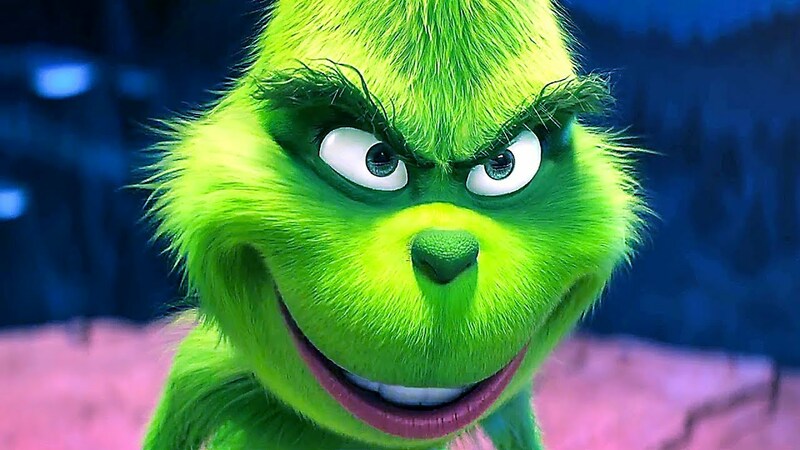 The Grinch (2018) is almost equally inspired by the original as well as the 2000 remake. The hustle and bustle of Whoville we witnessed in 2000 is here once again but with less character development. 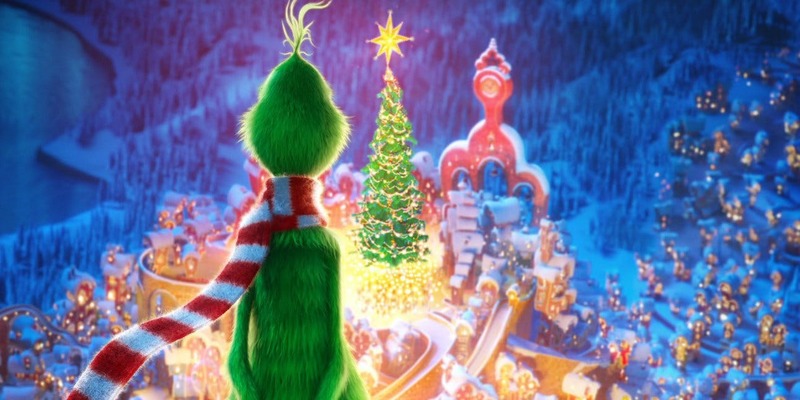 Of course, Cindy Lou Who is more hip and the Grinch is toned down for a more sensitive audience…but why? The best part of the original story was the Scrooge-like redemption the Grinch had at the end of the tale. You aren’t meant to like him at the beginning as he’s the villain of the piece. Thankfully, we didn’t get a replay of the horrendous back story given to the Grinch in 2000 but now we’re given a watered down version. The Grinch is actually nice to Max at the beginning. Yes, he still wants to ruin Christmas but you never get the feeling that’s he’s the villain as the original story presented him as. The movie also stumbles with Pharrell Williams as the voice of the narrator. He lacks the menace that both Karloff and Hopkins had as his voice is far too meek and mild. The film’s score by Danny Elfman is good and I enjoyed the incorporation of modern Christmas tunes by Run-D.M.C. interspersed with Nat King Cole. However, the new, hip-hop version of the theme song, performed by Tyler, the Creator, is simply horrible. It doesn’t compare with the original in any way, shape or form. There are several elements of this new version I do like. I love Benedict Cumberbatch as the Grinch as he harkens back to the original portrayal, thankfully leaving the often irritating zaniness of Jim Carrey behind. 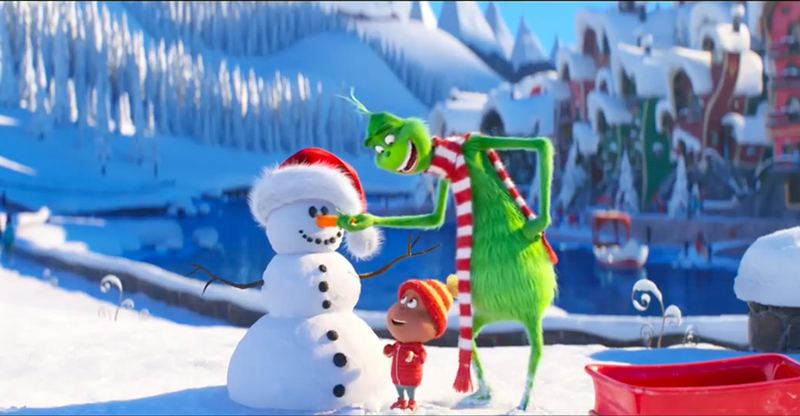 Visually, the movie looks stunning, full of Christmas cheer. But at 90 minutes long, there simply isn’t enough story here to prevent the inevitable padding. That may work for Santa Claus this time of year but it never works for films. The original is in a class all by itself. While this new version is certainly better than the 2000 remake, it’s simply unnecessary. The original is entertaining for children of all ages but this one is really intended for children who might appreciate the new approach. I’ll probably watch it again at some point but it will never replace the original. It’s time to kick off the annual Countdown to Christmas! Jeff Owens and I have a special episode 25 of the Classic Horrors Club Podcast waiting for you under the tree. 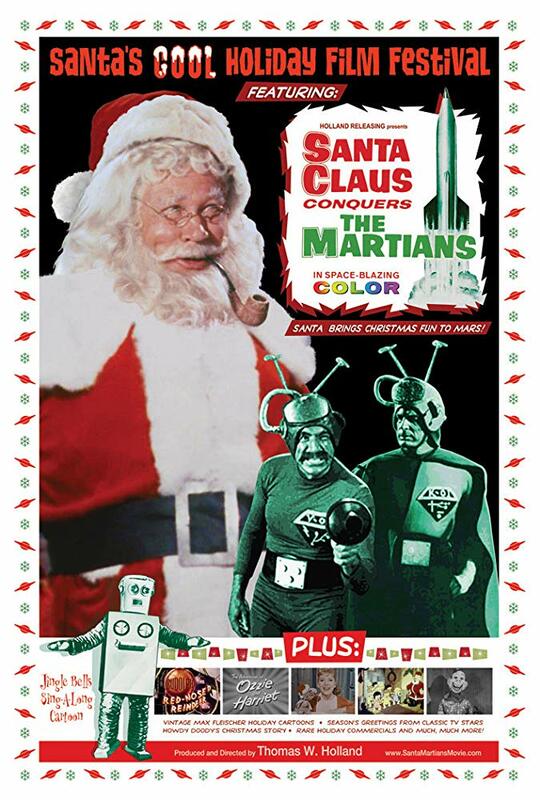 We head to the North Pole via Mars for a look at Santa Claus Conquers the Martians (1964)! Hooray for Santy Claus! The publishers of We Belong Dead magazine have released another amazing book just in time for the holidays. A Century of Horror is described as “A Pictorial History of the Cinefantastique” and it delivers on all counts. Edited by Eric McNaughton and Darrell Buxton, this soft-bound 520-page beauty is an early Christmas gift for all of us monster kids. And if you don’t believe me, perhaps you’ll believe the words of Sara Karloff. The book is broken down into reviews highlighting each decade from the 30s through the 90s. Additional chapters focus on Japanese and European horror. However, the book’s opening chapter is a personal favorite. It’s a 42-page focus on the silent era written by my Classic Horrors Club Podcast partner-in-crime, Mr. Jeff Owens. Jeff has contributed to the past three releases from We Belong Dead, including the now sold out classic, A Celebration of Peter Cushing, as well as several issues of the regular magazine. 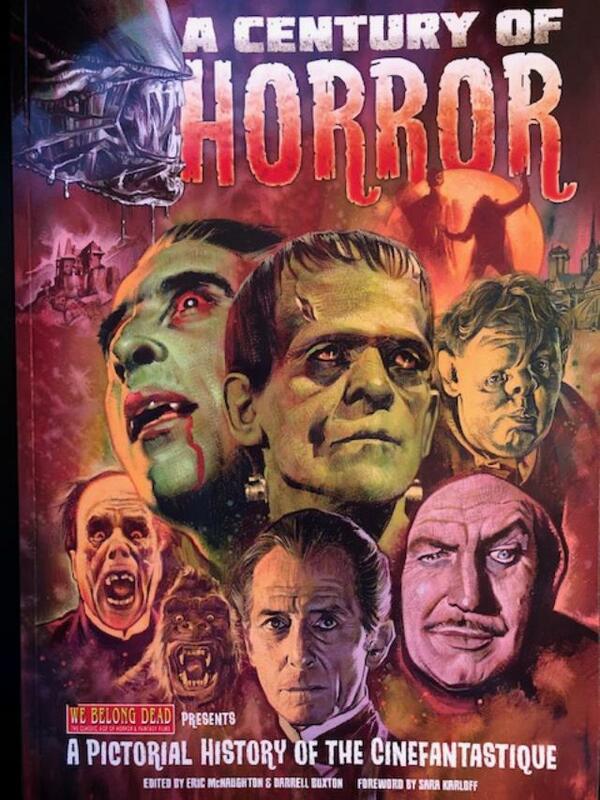 And Jeff has also contributed to a forthcoming release highlighting the career of Vincent Price. 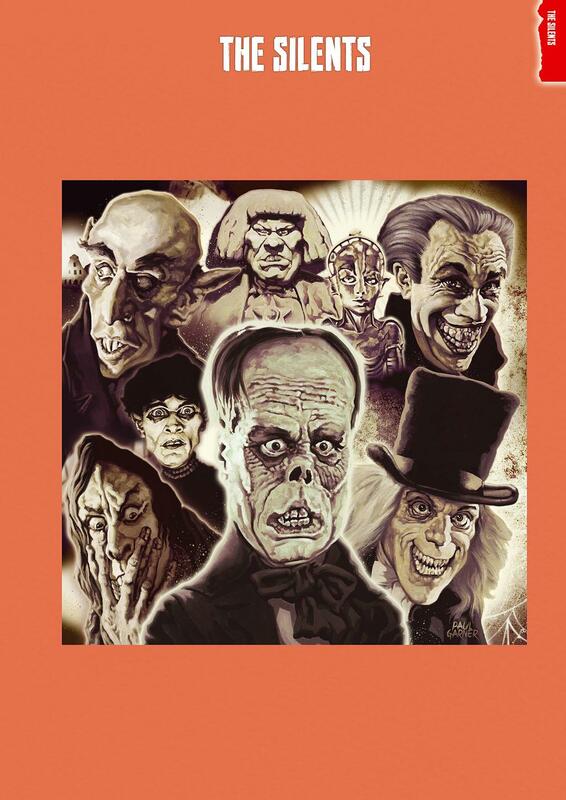 A Century of Horror is currently available through the We Belong Dead website. These books are not cheap but I can assure you they are incredible additions to any monster kid library, full of well-written articles and amazing pictures in color and glorious black and white. It might be too late to receive it by Christmas but can you think of any better way to spend that Christmas money from Auntie Roo? And as always, tell ’em Monster Movie Kid sent ya!